THE CENTRAL BANK has found a large number of credit unions have failed to comply with governance rules that would ensure the competency of staff. Four years ago, the financial regulator introduced a ‘fitness and probity regime’ (F&P) to ensure that people with important roles at credit unions were “capable, competent and financially sound” in their ability to manage and govern their branch. An investigation of how well credit unions have integrated those rules found “a minimalist compliance approach in an unacceptably large number of credit unions”. The Central Bank said in its report that while “some credit unions have embraced these requirements and standards, we are concerned to see that changes in governance culture are taking so long to embed in other credit unions”. It was particularly concerned about how credit unions handled due diligence procedures when appointing individuals to certain roles, namely those who would “exercise significant influence and control in a credit union”. The Central Bank found that a number of credit unions failed to keep due diligence records on file,”which resulted in a lack of evidence to support compliance with the F&P regime”. “Where credit unions held due diligence documentation on file, there were instances where the credit union did not record evidence of a proper assessment of the due diligence conducted,” it said. Some credit unions “did not conduct checks of publicly available information, such as a search on the Central Bank website or with the Companies Registration Office”. Others could not provide copies of certificates to prove that individuals had obtained necessarily qualifications or training. The Central Bank found a number of instances where there was an over-reliance on ‘local knowledge’, “without an assessment of such person being evidenced and documented”. Governance at credit unions has come under scrutiny in the last few years. The sector was thrown into the spotlight again last November when a liquidator was appointed to Rush Credit Union, which was described in a review by Grant Thornton as “a failing institution with poor governance and systems and control issues that it has failed to resolve over many years”. 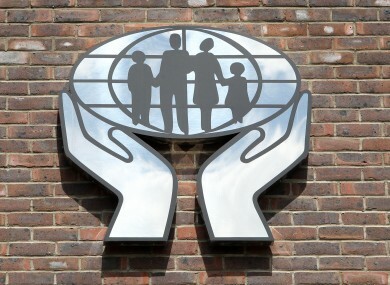 Where issues have been identified in the F&P report, the Central Bank said it will “follow up directly with the credit unions concerned to address these issues”. “The Central Bank expects all credit unions to consider the issues raised in the report and to examine the implementation of their own F&P policies and procedures,” it said. Email “An 'unacceptable' number of credit unions aren't doing background checks on staff”. Feedback on “An 'unacceptable' number of credit unions aren't doing background checks on staff”.